...The list goes on -- where do you start? The key for your online marketing is to focus. KnowledgePower doesn't do every type of online marketing. We just do the types that work. When you work with KnowledgePower, you are adding a smart, focused marketing team to your business... without having to pay the costs of a marketing team to sit in your office. What type of digital marketing agency? It is a good idea to look around at the options from different digital marketing agencies. Not all are the same, and you will find a range of pricing, specialisms, and strategies. A commonly promoted approach is the "full spectrum", "broad mix", "multichannel", "360 degree" (etc) idea of marketing. 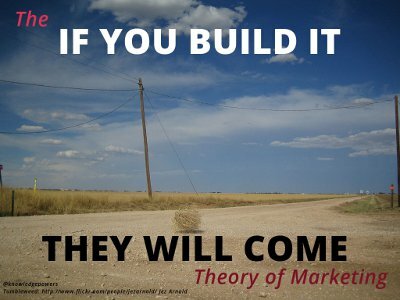 There is a lot to be said for that if your business model is very marketing-driven and you have the resources. The issue is that, in many normal businesses with a finite budget, it's just not possible to do everything well. If you try to do many things and you haven't got a strong digital team already on your payroll, you will either find this very costly, or spread your budgets too thin and not go far enough on any one marketing area. This is why we recommend a more focused approach. We want to help you grow your business, with more effective online marketing. We don't do everything: we focus on the areas most commonly providing results for small and medium-sized businesses. Here are three things you can set us to work on! This is why we often begin website improvement for our clients by shifting the whole existing site into WordPress. We switch over your existing website without losing your content, and you stay on the same domain. Switching to WordPress is ideal if you have an outdated static website for your business which needs to be updated for mobile accessibility. Once it is live in WordPress you will find it much easier to edit content and add new pages and features. In short, a move into WordPress can be an easier and less costly alternative to a completely new website build. How much will it cost? Basically it depends on the size/complexity of your existing site, and how deep you want to go into original theme design. Or Contact us now to get ideas specific to your current website. Once your website is under your control and you can publish in it, you want to be able to focus on your strength areas (i.e. understanding your business) without having to waste hours studying technical details of hosting/server setup and performance, plugin settings and updates, web design, and formatting glitches. We provide a unique, flexible technical support package for you and your colleagues working on the website. Basically we take care of the things under the bonnet so that you can get on with publishing content and communicating with clients through your online systems. 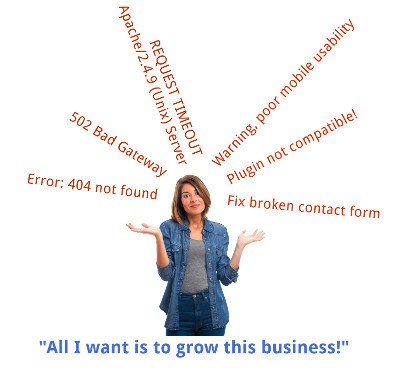 Don't let the pile of technical and design issues from your website take your time away from growing the business! Webmaster support is included in our PPC packages and you can also get us to work on this as a standalone service. It is ideal for SMEs without dedicated IT personnel, but where you still need a quick and knowledgeable helper on the other end of the line to solve what you are trying to get done on your website, and keep the systems running smoothly. 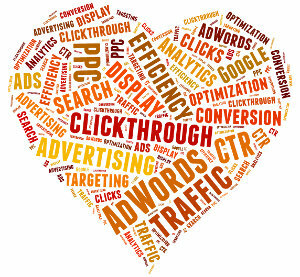 We specialize in pay-per-click [PPC] advertising setup and management. PPC, often also called cost-per-click [cpc] and paid search, is the main method of attracting new business online, especially for businesses without the resources (...and infinite patience...) to work on SEO and wait for it to work. If your organization has never tried PPC then we will make it easy to get started and see if it makes sense to invest in. Getting AdWords campaigns to work is a kind of mixture of science and art, but we'll take care of the details for you. If you are already trying AdWords or ran campaigns before, we can help you change tactics and improve targeting to get better results for your click budget. » Is AdWords worth it?